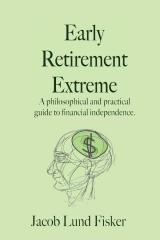 I became financially independent and was able to retire when I was 31. As far as I know 31 makes me somewhat of an outlier. When I look at early retirement profiles, the earliest retirees are typically in their late 30s, but the norm for early retirement seems to late 40s or early 50s. I am not a dot-com millionaire, I did not win the lottery. I do and did not even have a six figure income. What I did was to adopt a program of extreme savings and frugality about six years ago. Other early retirees speak of saving 30-40% of their income. I was saving 70-80%. In case you did not know, financial planners typically recommend saving 10-15% of one’s income, but many people do in fact save nothing at all. As with most things, the reasons for me doing so have changed along the way. In fact I did not give money much thought before I was 25. (But here’s a couple who did.) Back then money was something I saved until I had enough for a new computer or a new bicycle. When I had enough, I would spend it all, and so it went. However, around that age, I started thinking about buying a house. I also learned that mortgage is French for “death lock”. First, consider the total interest you will pay on a $100000 loan at 6% running for 30 years. It is roughly $100000 times 0.06 times 30 = $180000. This makes the total cost of your house $280000. This means you will be paying for your house 3 times over. What a rip-off! Second, mortgages often force people to keep working at jobs they don’t like. If they did not, they would not be able to make their mortgage payment and shortly thereafter they would be thrown out of their home. In other words, a mortgage indirectly binds you to a job for 30 years which is also equivalent to the typical productive life time for a worker. There is a reason why no 60 year mortgages are offered! This is why it is called a death lock. Your job owns you for life. I decided that that was not going to happen to me, so I started saving hard. What is your savings rate? How long do you plan on keep working/when do you plan on retiring? next post: What do you have to show for it? 6 users responded in " Why financial independence part I – Early motivations "
I’m reading older entries for inspiration. BTW, Fred Ecks at fredx.livejournal.com retired at 35. Still older than your FI at 31 and I believe he came close to or hit the 6 figure mark with his comp sci degree. I just started working FT. I am currently saving 20% of gross income. I can bump it upto 30% in about a month and even more when we move in the summmer. By what percent that increase will occur is still unclear. If you were able to retire at 31, why does your Twitter status show that you’re looking to take on a job? After moving from an apartment complex to a friends townhouse that actually had more space and another bedroom, plus tremdous cuts and budgeting daily-to-monthy my savings rate got boosted up to 82%/ mth. Unfortunately that is still going toward paying off high 6.8% student loan (now almost done), and a new car’s loan (2.4% @ 12k, next thing to tackle) which i went with during the cash-for-clunkers sale. (got $3500 for a truck i payed $800+ tax after 6 years of great use from high school thru college). By this Dec 2011, I will become debt free with an emergency fund of about $3k. Then comes saving for a decent shelter/house for future family, to pay in cash. Then work slaving/saving/investing for Financial Indepence to only about another 4 years unless investments take off during this time. I am happy now at my max savings rate, funny how at the edge, if i could quit my job and sold the car, my savings rate would actually increase!